When a company plans to outsource part of its Development or QA & Testing team, there are many questions that automatically surge. How do you shortlist and choose the right candidate(s) for our team? Before we begin the recruitment process, we pay very close attention to your needs & requirements. For us, it’s not only very important to understand the technical requisites, as it's also the type of element(s) you want to integrate into your team. Knowing the kind of Approach / Duration / Timeline for the challenge is crucial so we can assure everyone is in the right mindset. Everything is well-defined, now what? If you plan to start ASAP, we’ll try to check internally for projects finishing / people available to start working immediately / very soon on your project. This is the perfect scenario because we’ll be just one step behind your final meeting / approval. But sometimes things are not so easy (but still, not critical), and when there are no elements available on our team, we’ll check for them on the market so we can present you the perfect candidate for your team - The process is very smooth and transparent. How is exactly the recruitment process? 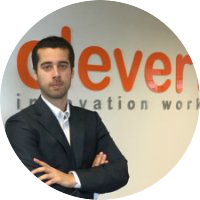 We start by re-establish contact with the best references we have in the market - Cleverti has 9+ Years in the Nearshore Market and clients in 12 different countries, so as you may imagine, also plenty of references & experience. As soon as we have a candidate identified and validated internally by our team, we'll share the promising profile with you. What if I don’t like the profile you validated for my team ? Our mission is to build your successful long-term extended team, so in case there is anything you don’t like about the presented candidate, you can be assured we’ll redefine our search with your input, and keep searching for the perfect match. Clients are always part of the recruitment process, so you’ll always be invited to meet the candidates personally, on our Lisbon’s office, or via a Skype meeting / Google Meet / Zoom. Technical Interviews or Tests are also possible to schedule at this stage. 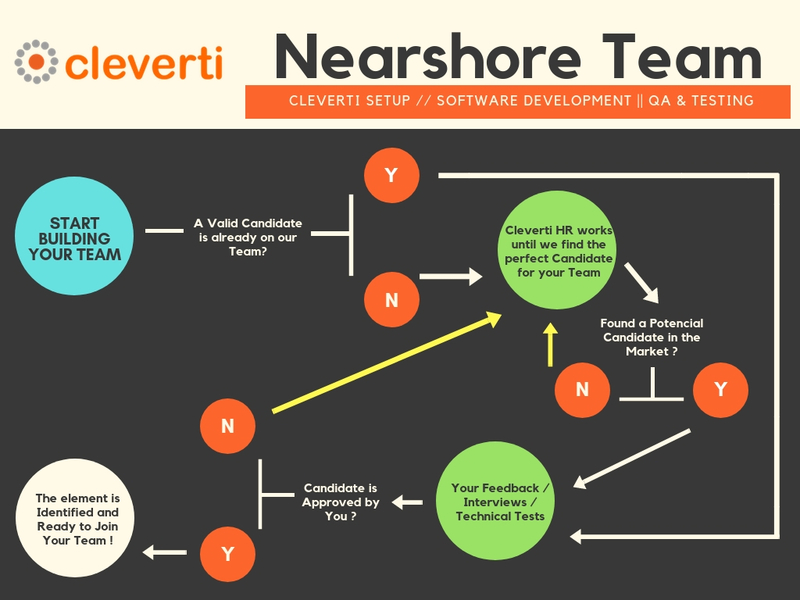 How can I know more information, or start building a Nearshore Team with Cleverti ? If you want to make a cost simulation of your Nearshore Team, use our Simulator Tool. To get in contact with us, please leave a message via the Contact Us.